This is a Marvel Comics hardcover book review. 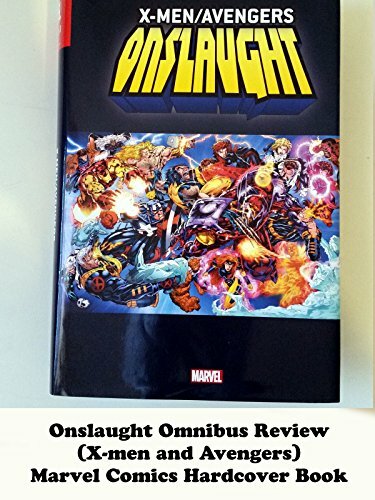 And this is a ONSLAUGHT OMNIBUS book that starred the Avengers and the X-men. This was an epic 1990s crossover event. Where Onslaught attempted to take over the world. But will the combined might of the heroes be enough to stop him? Overall it's a fun storyline from that era. It was also the excuse and start Heroes Reborn another comics story.